Very Fashion Clinic. 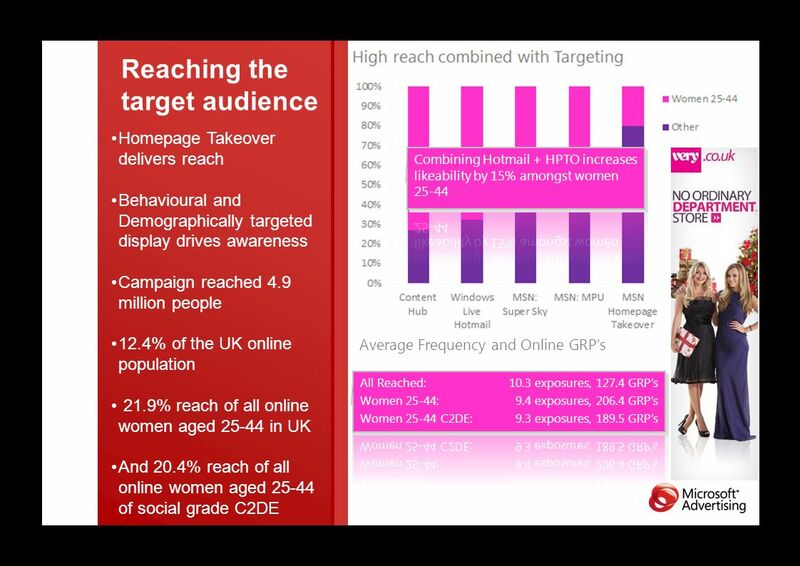 Key facts Client: Very Agency: Carat Objectives: Drive brand awareness of Very.co.uk Position the brand amongst women 25-44 years. 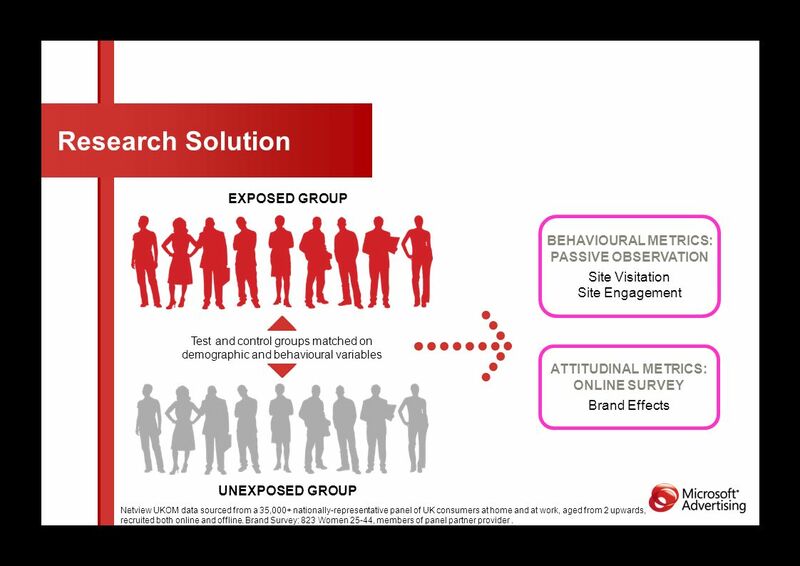 4 Research Solution EXPOSED GROUP UNEXPOSED GROUP Test and control groups matched on demographic and behavioural variables BEHAVIOURAL METRICS: PASSIVE OBSERVATION Site Visitation Site Engagement ATTITUDINAL METRICS: ONLINE SURVEY Brand Effects Netview UKOM data sourced from a 35,000+ nationally-representative panel of UK consumers at home and at work, aged from 2 upwards, recruited both online and offline. Brand Survey: 823 Women 25-44, members of panel partner provider. 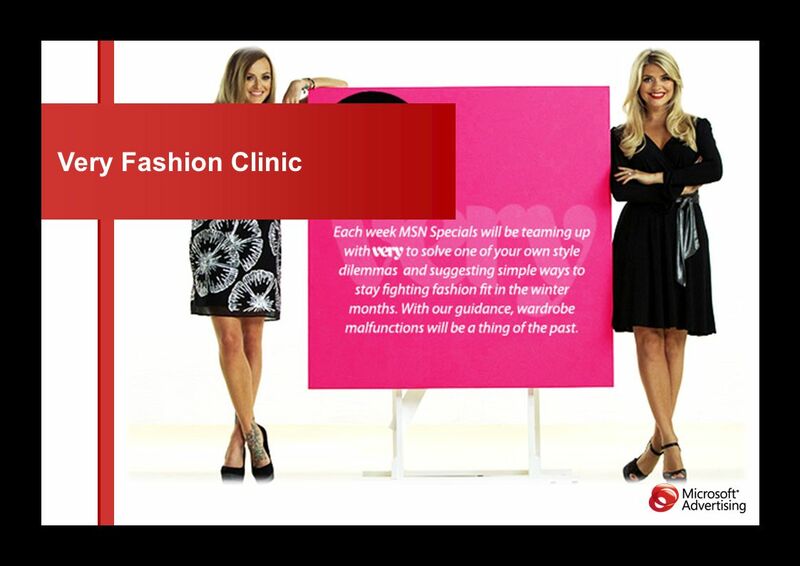 Download ppt "Very Fashion Clinic. 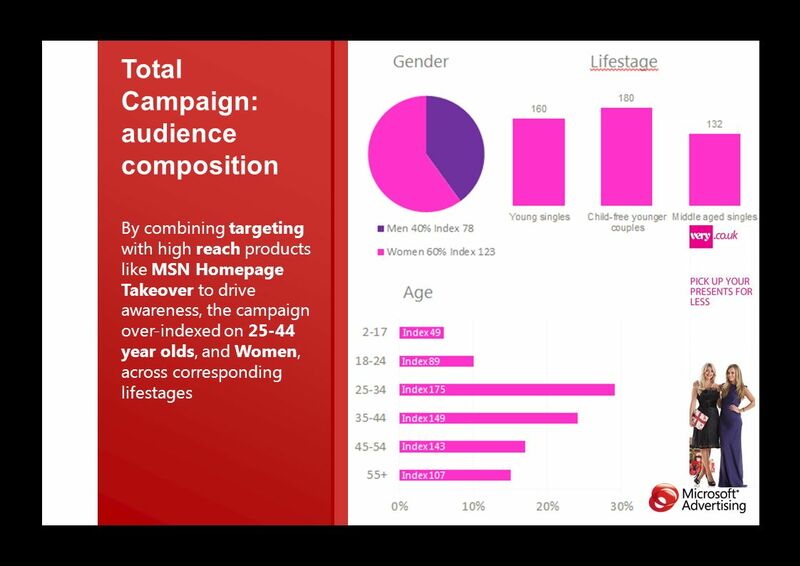 Key facts Client: Very Agency: Carat Objectives: Drive brand awareness of Very.co.uk Position the brand amongst women 25-44 years." Information Memorandum Delivering Next Generation Advertising CONFIDENTIAL. Mail Online & Metro Snickers Case Study 1 February – May 2012. CAN MULTI CHANNEL CAMPAIGNS MAXIMIZE MEDIA ROI IN AFRICA? ANDRZEJ SUSKI HEAD OF MEDIA SOLUTIONS AFRICA & ME PAMRO, Uganda 2012. Gameology Games and Digital Goods Spending Behavior Report July 2011. Online Presence and Offline Sales: Refining our Knowledge Base Charles Buchwalter, Vice President, Client Analytics iMedia Brand Summit, Bonita Springs. 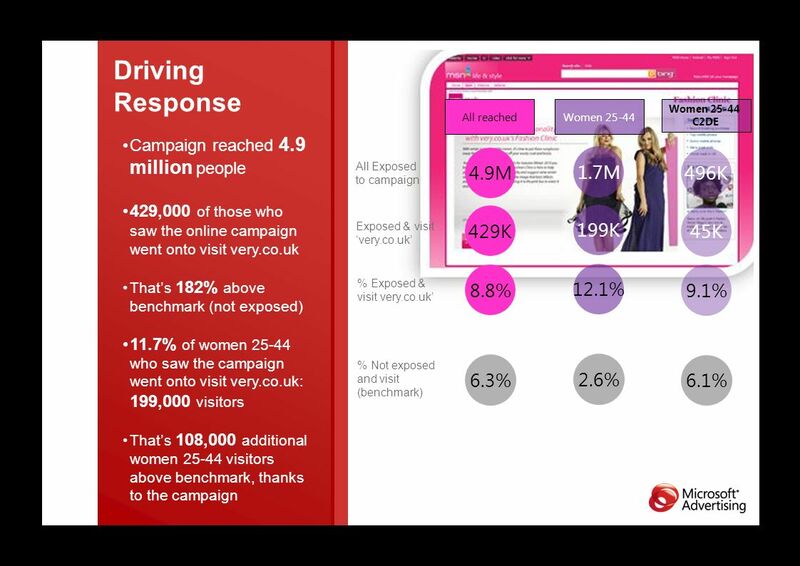 A broadcasters campaign Cross-platform ad effectiveness research. Prepared by: Benoit Lévesque Strategic Development Supervisor Astral Media Plus, Research & Marketing April 12, 2010 Reaching Parents With Astral Media. 1 TV Viewing Trends Rivière-du-Loup EM - Diary Updated Spring 2014.